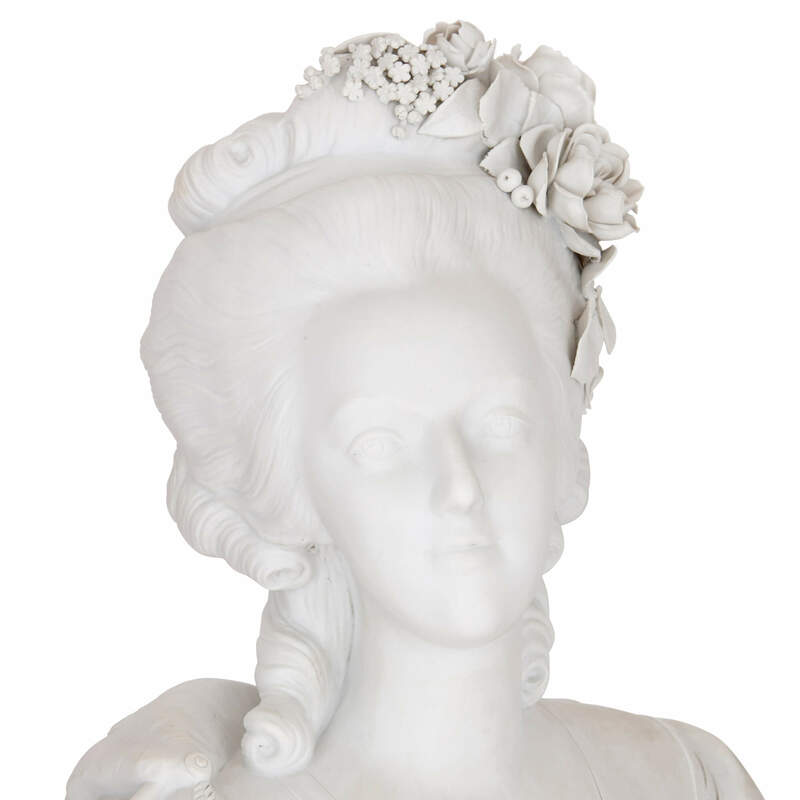 This beautiful bisque, or unglazed, porcelain bust of Marie Antoinette was created in France in the late 19th Century in the fashionable Sevres style. 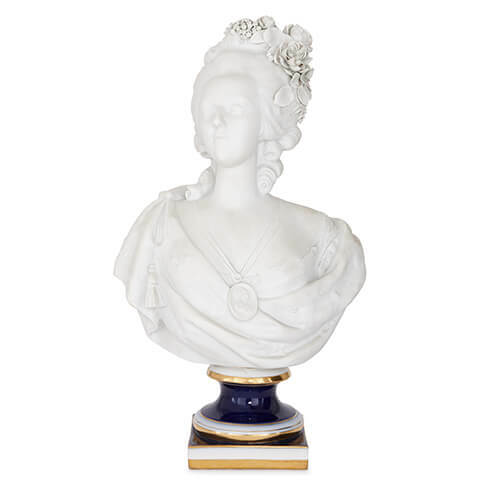 This elegant bust of Marie Antoinette, Queen of France and wife to Louis XVI, is crafted in white bisque porcelain, contrasting beautifully with the glazed gilt and cobalt blue pedestal on which it sits. Here, Marie Antoinette is pictured with flowers woven into her hair, and she wears a large pendant around her neck, upon which is the classicising profile portrait of a man, most likely her husband, Louis XVI. 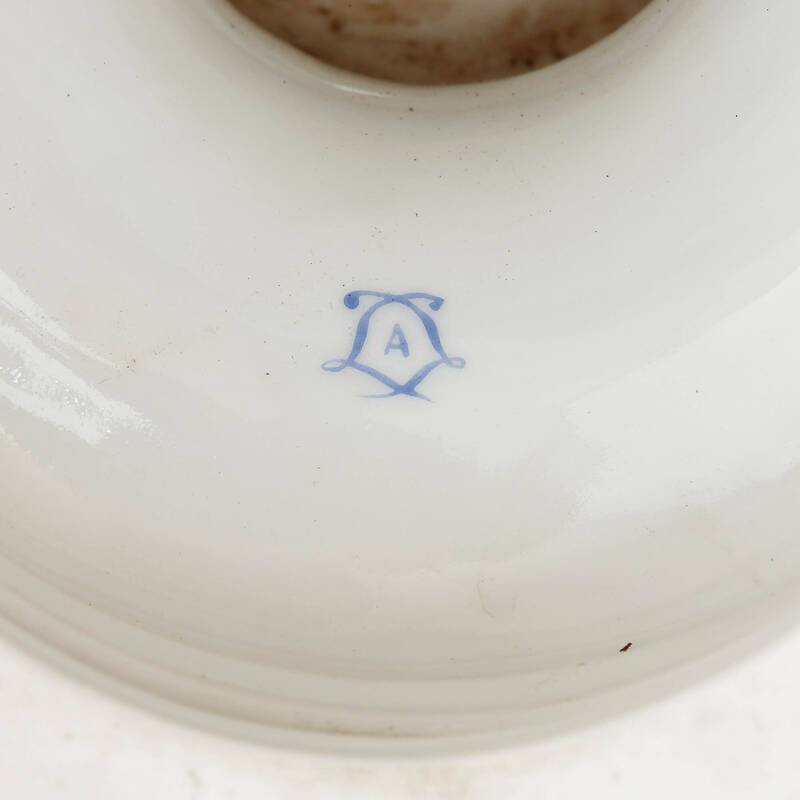 Bisque, French for 'biscuit', is a technique where the porcelain is left unglazed. 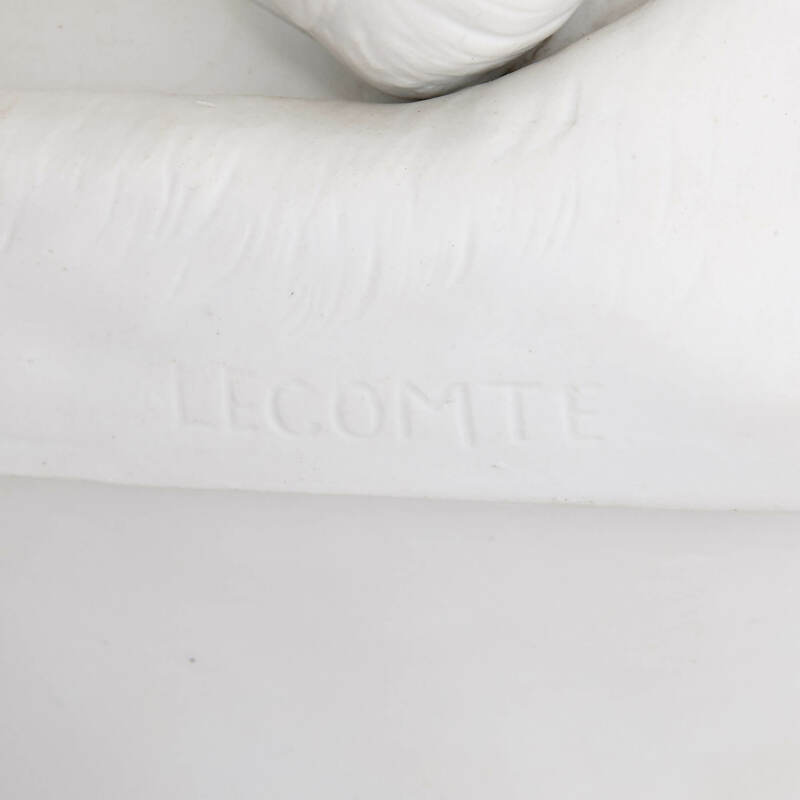 In its pristine white state, the moulded porcelain resembles pure marble. This style of porcelain was invented by the Sèvres factory, who used it to create small sculptures to replace the white sugar figurines that were used to decorate dining room tables in the 18th Century. 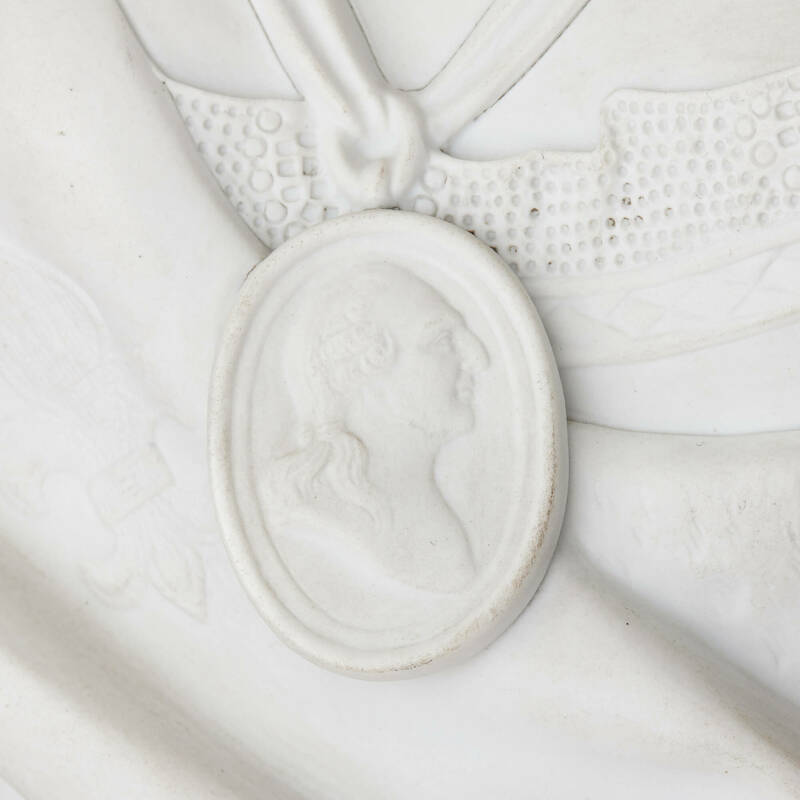 Bisque porcelain busts of Louis XVI and Marie Antoinette were highly fashionable during their reign, and continued to be produced in the 19th Century. As an indicator of this Sèvres influence, the base of the bust is signed with two blue-painted interlaced Ls. These enclose an A, the date-letter for the year c.1754. The bust is in fact a revival piece, made in France in the late 19th Century. 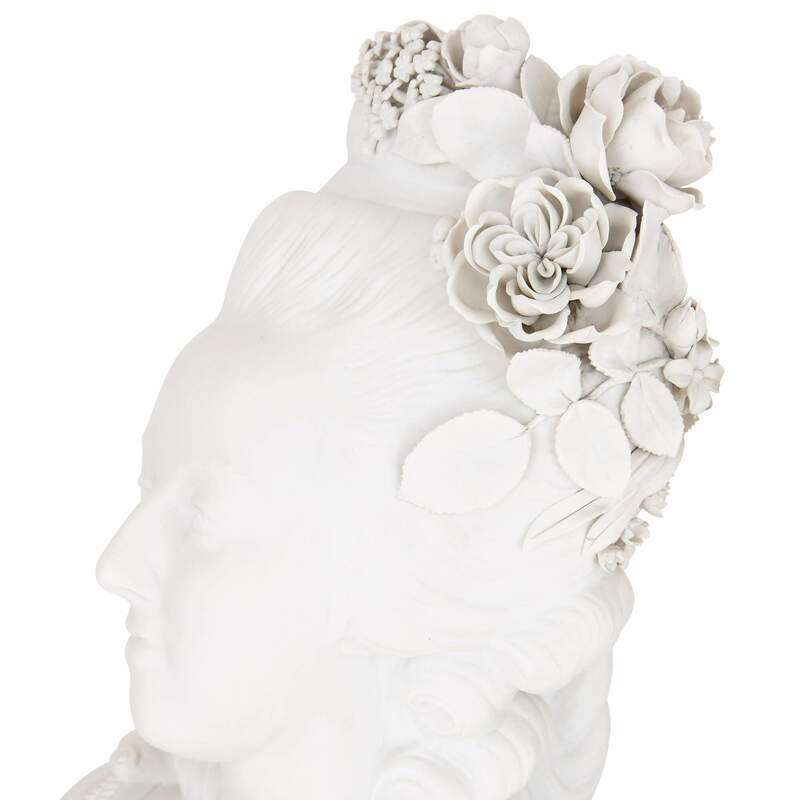 This bust depicts one of the most important figures in French history, and will make an elegant addition to any home.